Time to try my hand at brewing homemade Kombucha! My Scoby (symbiotic collection of bacteria and yeast) is here, and ready to work. I've named him Slimey. 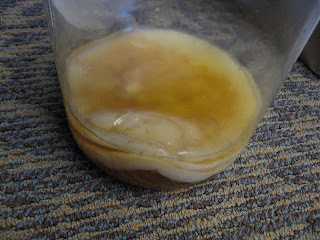 Slimey looks like something out of a sci-fi novel, but he will produce tasty, tasty Kombucha in about 2 weeks time. Thank you to Peeps, who kindly gave it to me! I promise to give Slimey and his offspring a good home. Fermentation shall begin soon. stay tuned. 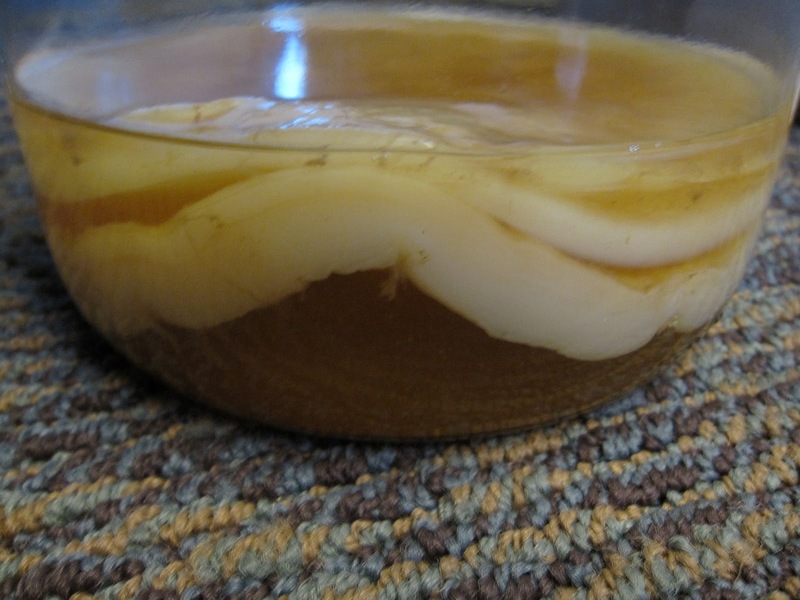 I love that you named your Kombucha culture Slimey! It's such an appropriate name. Are the scobey cultures like sourdough starters, and can be split up and shared among friends? I'm looking forward to reading how this turns out! Haha, thanks! Yes, Scoby cultures can be shared among friends! I've been told that the scoby reproduces each time you brew a batch. I think I already have two in my jar, and you only need one!